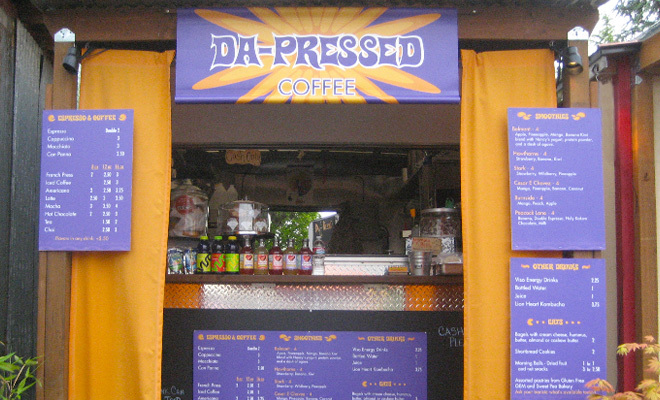 Da-Pressed is a coffee cart in Portland, Oregon. 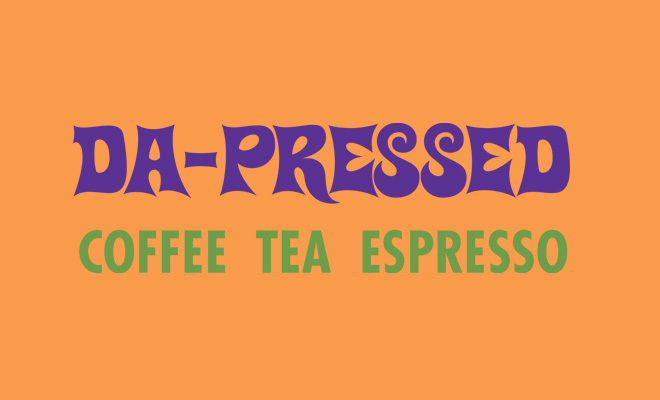 They needed a full brand that accurately represented their kitschy name and energizing espresso beverages. I designed a flexible system of images and patterns that can be used on a variety of products. 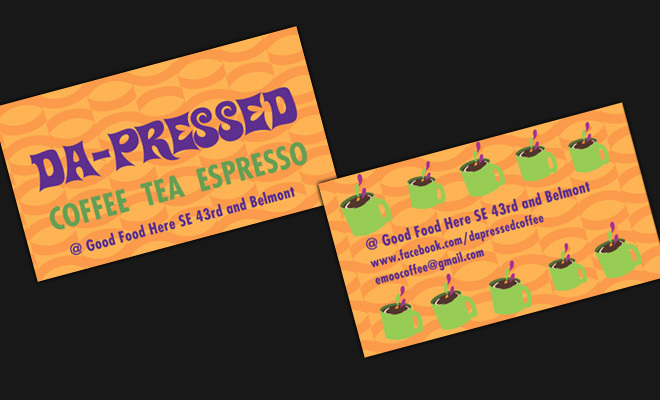 Initially we designed business cards, punch cards, banners, and mugs. Da-Pressed continues to build upon and change their image as they expand.